Welcome to the Home Page of the Huntingdonshire Cyclist Battalions. ''"A true Cavalry unit in every sense of the word''"
This site is now being extended to cover all men and women that served in the Armed services and that live in Ramsey, Huntingdonshire or the surrounding villages bearing that name. The project is still being researched and any help anyone can provide, in order that these men and women can be remembered, would be greatly appreciated. We Shall Remember Them. New to the site. Charles Laughton - His Life. The Cambs. Regt. Cyclist Camp - 2010 - Auchonvillers. Recruitment. H. C. B. Reunions. Formation of the Hunts. Cyclists. H. C. B. Bands. After W. W. I. The History of Military Cycling. H. C. B. Postcard Set. Letters from J. G. Field. Posters of the Hunts. Cyclists. Transport Section. What a Hunts. Cyclist looked like. Life at Huntingdon H. Q. Life on the East Coast. Standing Orders of the 2/1st Bat. Bands of the H. C. B.
Cooks of the H. C. B. Officers and men of the H. C. B. Local Memorials recording H. C. B. men. What my Project is about. Autograph Book. The 'Somme' - 90 years on. On the East Coast. Ramsey [Wood Lane] Cemetery. The Last Surviving Hunts. Cyclist. Uniforms, Marches etc. Leaving To join the H.C.B. Meet the Webmaster. Somme Pilgrimage 2006. Ramsey Church. Ramsey War Memorial. Battalion Formation Orders. Links to other Sites. War Graves in the Ramsey Area. Promotions in the Ranks. Battalion Orders of the H. C. B.
Poetry of the H . C. B. 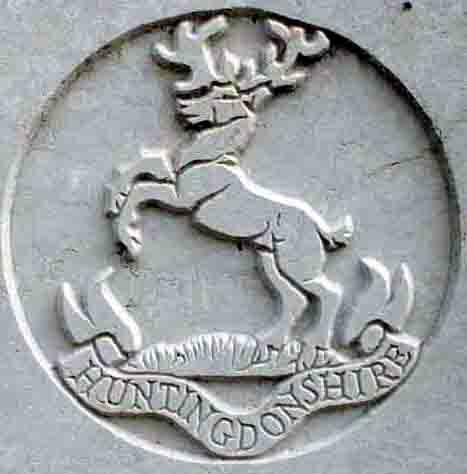 Soldiers with a connection to Ramsey, Huntingdonshire. St Ives Soldiers. . . This site is published with grant aid from the Huntingdonshire Local History Society - The Goodliff fund. Many thanks to them for their support. Martyn Smith - © .